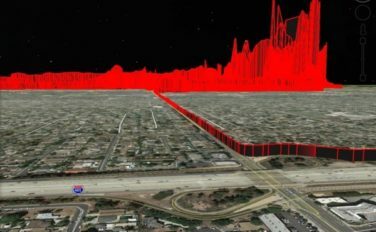 The damage to Porter Ranch and beyond from SoCal Gas’ disastrous gas leak at Aliso Canyon is still being revealed. It may take years to clean up, and will likely cost in the billions. TURN intends to insure that not one penny of customers’ money goes toward the costs arising out of SoCal Gas’ dangerous mismanagement of Alison Canyon. When utilities mismanage their gas or electric facilities, the consequences can be disastrous, and the costs astronomical, and must be borne by shareholders, rather than consumers. With your support, TURN has prevented utilities from making customers pay for corporate mismanagement, from the wildfires in San Diego to the fatal PG&E explosion in San Bruno. All costs associated with drilling relief wells and other measures to stop the leak. Costs of climate mitigation to compensate for spewing millions of tons of methane into the air. Costs of CPUC to hire an independent investigator to determine cause of the leak and remedies to prevent future gas storage leaks. Costs of lawyers who are defending the company’s interests, not the public interest. This is like the BP Gulf oil spill—only it is invisible. Make sure that corporate executives and shareholders pay the costs—not consumers!